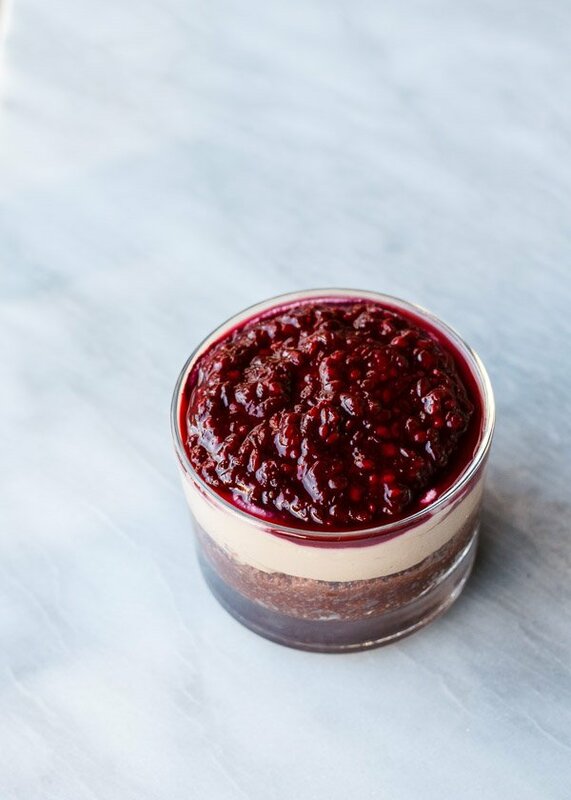 From top to bottom, we’ve got a tart, jammy blackberry layer, a cashew cream layer, and a rich, dense brownie bottom layer. 100% vegan and almost raw. 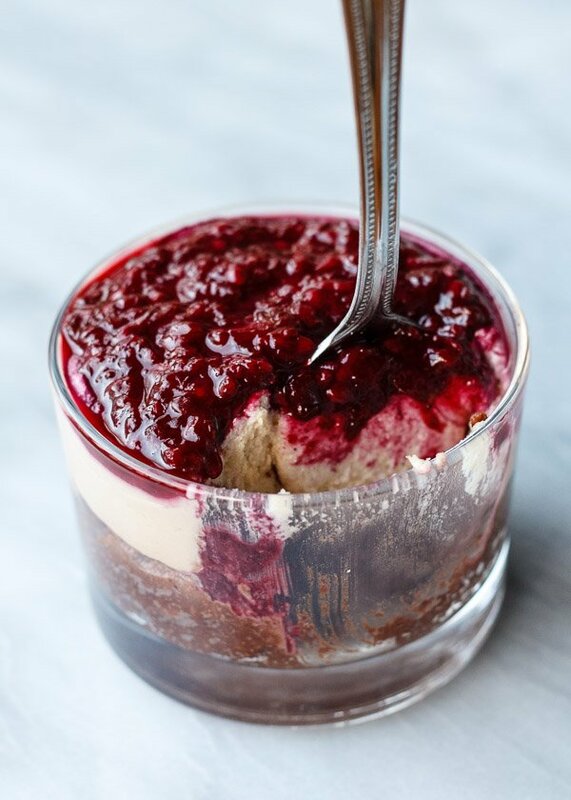 The only cooking we’re going to do is quick-jam some frozen blackberries, but first, two things. One is that these are really great frozen for a bit, then topped with jam, and the other is that the middle layer does not taste like cream cheese. 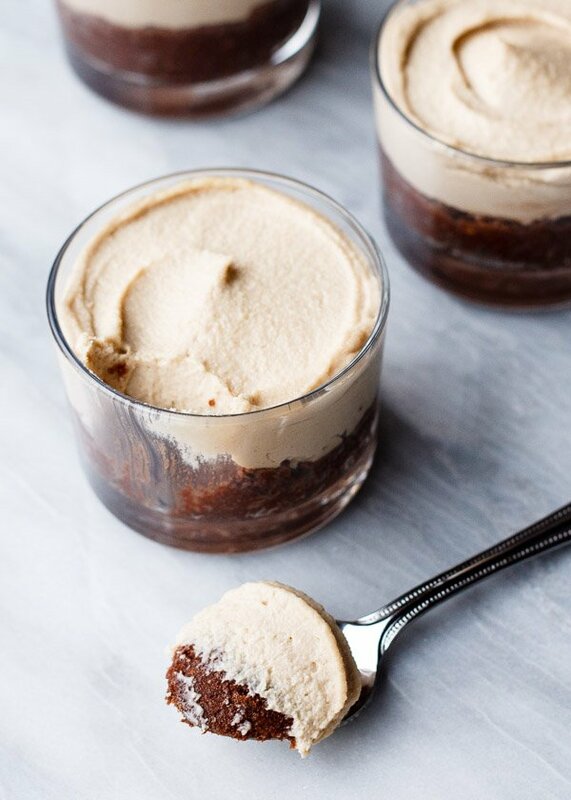 It’s made of raw, soaked cashews, so it tastes like… cashews. Nonetheless, it is creamy and buttery delicious in its own right. Happy New Year. 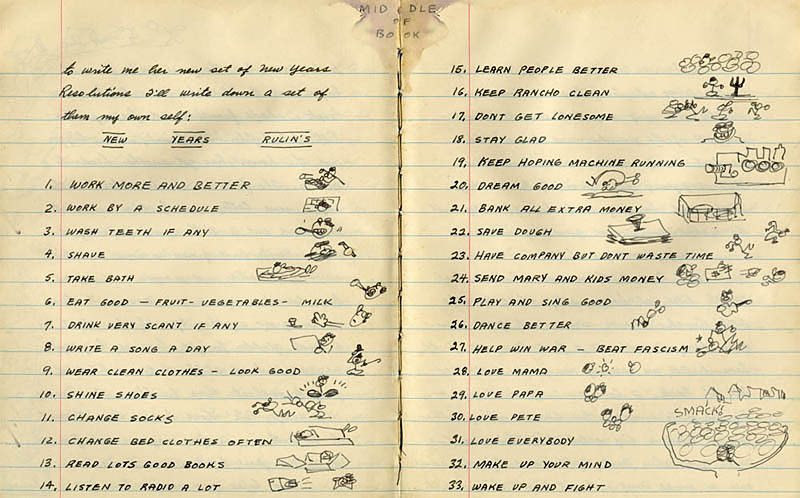 I read Woodie Guthrie’s New Year’s Rulin’s every year around this time and pick out the one for me. #33. Wake up and fight. I’m also partial to 13. Read Lots Good Books, 15. Learn People Better, 20. Dream Good, 22. Save Dough, and obviously, 26. Dance Better. I continue to be puzzled by 19. Keep Hoping Machine Running. Is it Keep Hoping // Machine Running or Keep // Hoping Machine // Running?? I think it’s the latter, but what is a hoping machine? That intrigues me. This one cracks me up – 3. Wash Teeth If Any. It’s pretty much the best list ever. Soak raw cashews and dried dates separately in boiling water for at least an hour. Drain cashews and transfer to a food processor. Pulse with lemon juice, maple syrup, cashew milk, and vanilla bean paste until smooth and creamy, scraping the sides down frequently. Transfer to a bowl, cover, and refrigerate. Rinse out your food processor. Drain dates (the soaking water is good to drink warm) and pulse until smooth. Add cacao powder plus salt and process until incorporated. Transfer the date paste to a bowl. Add the almonds and walnuts to your food processor (no need to rinse it out again) and pulse until the nuts are chopped into a crumble. Add the date paste back and pulse until a ball forms. Press this mixture into the bottom of 4 ramekins. 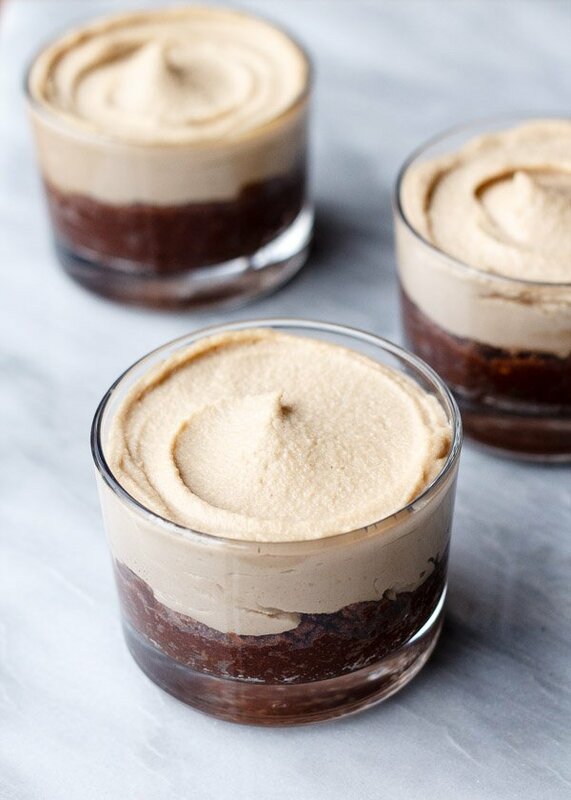 Spoon the cashew cream over this layer and smooth out the tops. Refrigerate for a few hours until fully chilled. Heat blackberries in a small pot and mash when defrosted (if using frozen). Simmer until reduced by half, stirring constantly. Remove from heat, stir in sugar until melted, then transfer to a small bowl and refrigerate until fully chilled. 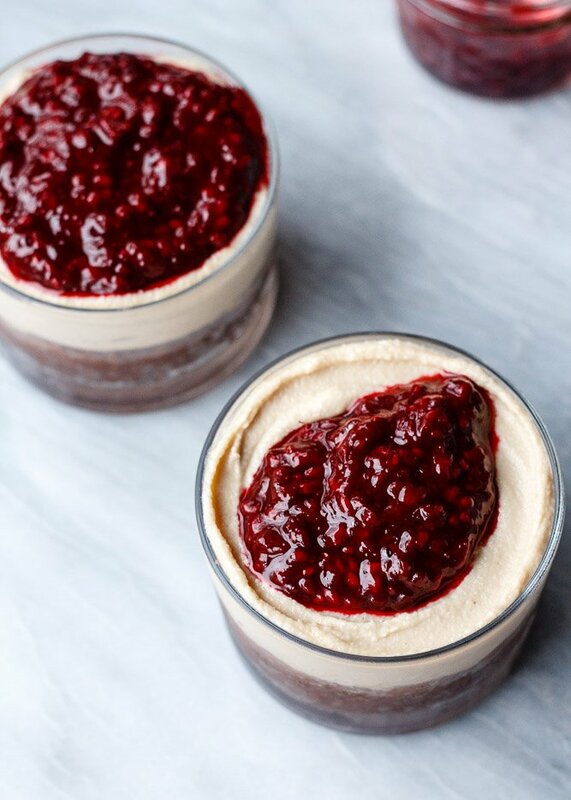 To serve, I like to pop the "cheesecakes" in the freezer for 20-30 minutes, then spoon the blackberry jam over top when ready to eat, but if you don't want them extra chilly, you can spoon the blackberry jam over the cheesecakes ahead of time and refrigerate until you want to eat them. Yes definitely read the rest of the list! It’s funny, sweet, and tender. Happy new year friend! 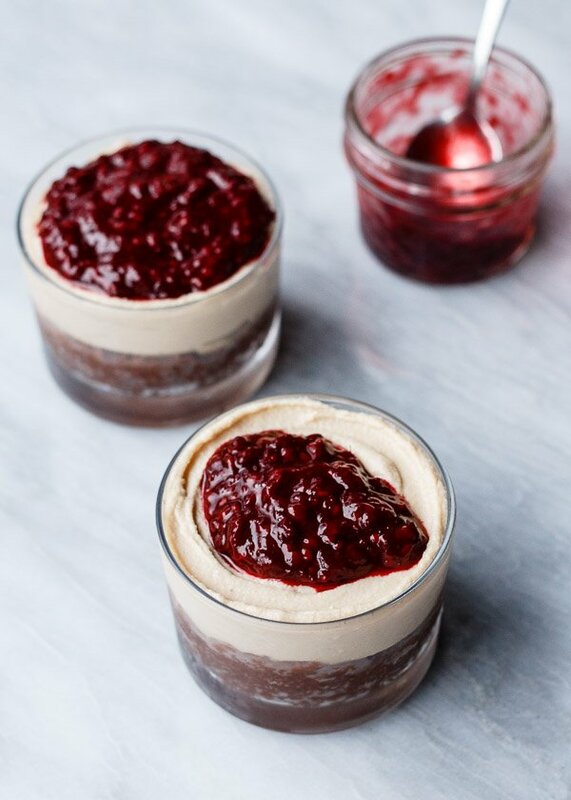 All I could think while reading this post was “Yes, please, I’ll take three!” These look incredible, and the fact that they’re vegan/dairy-free is the icing (er, jam?) on top! 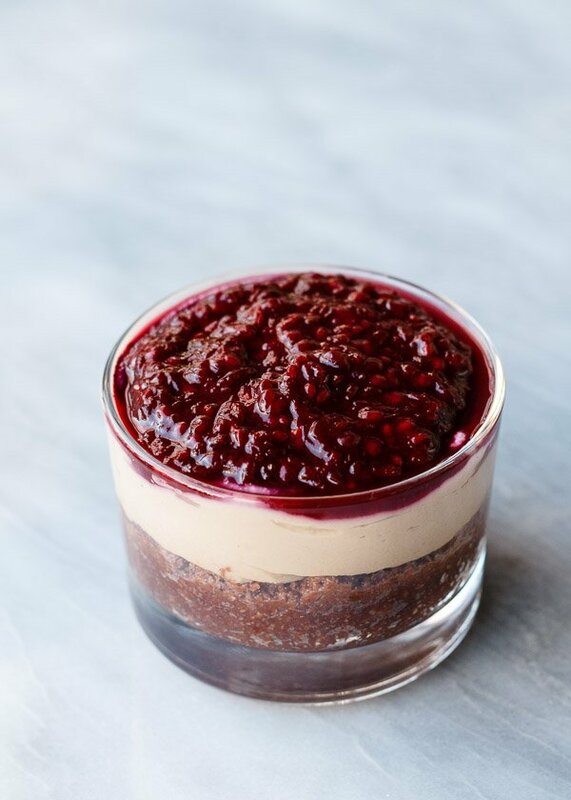 Me too, I tasted the “cheesecakes” with and without, and the jammy layer definitely makes the cake! 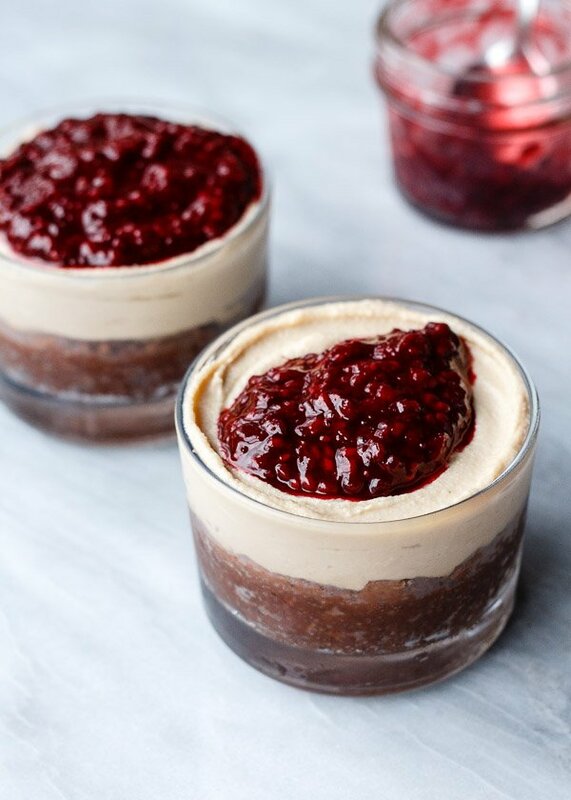 These cheesecakes are beautiful! I love that you used tons of wholesome ingredients!